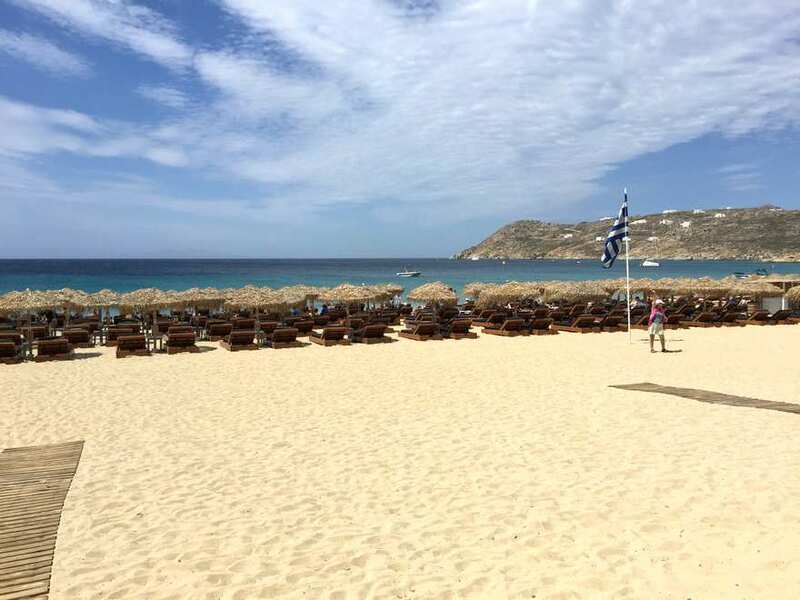 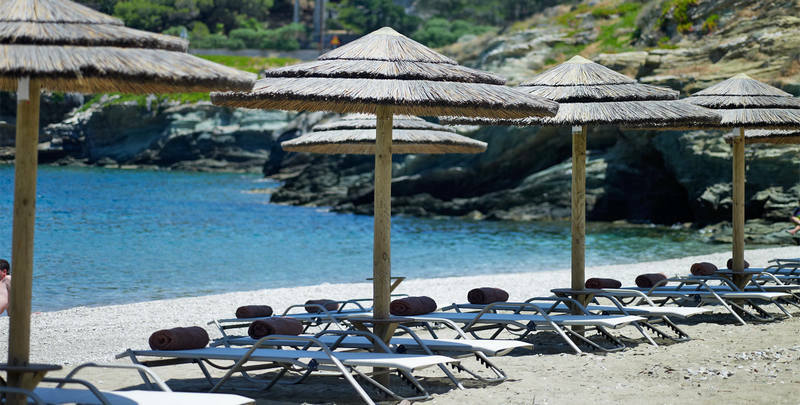 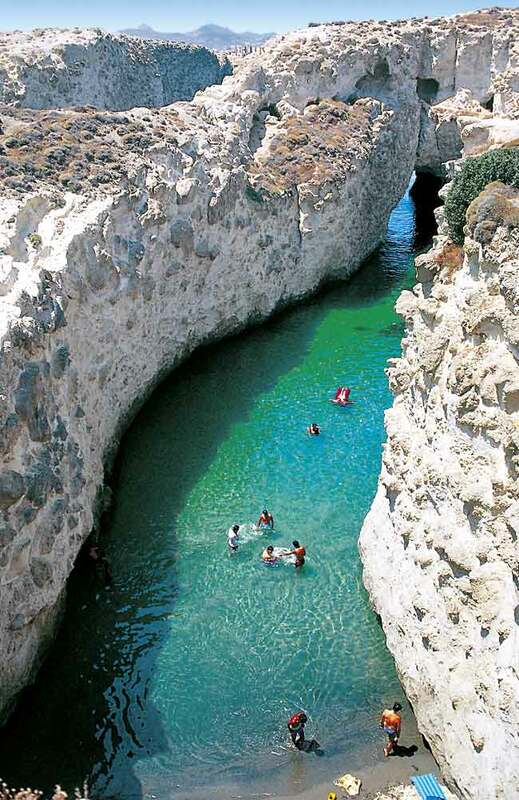 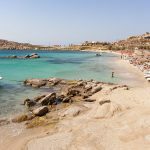 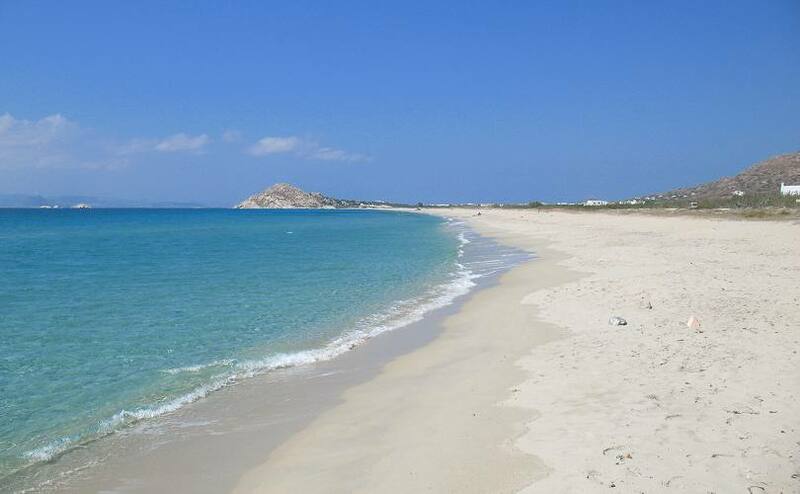 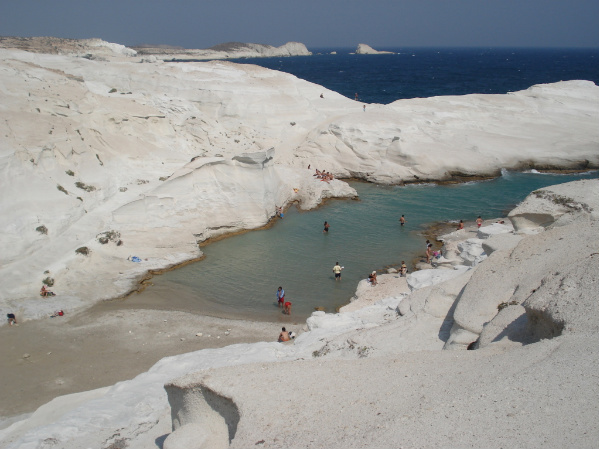 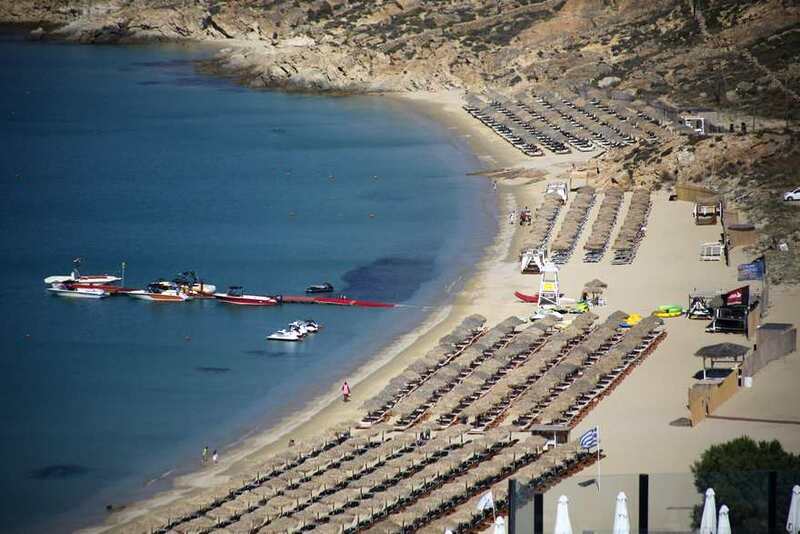 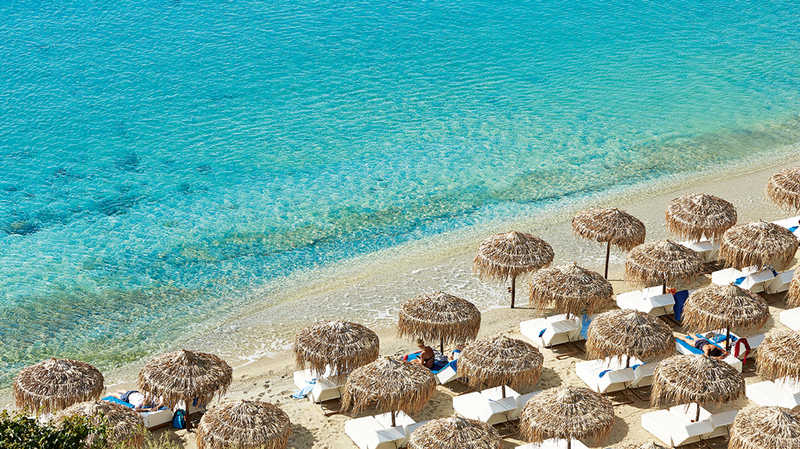 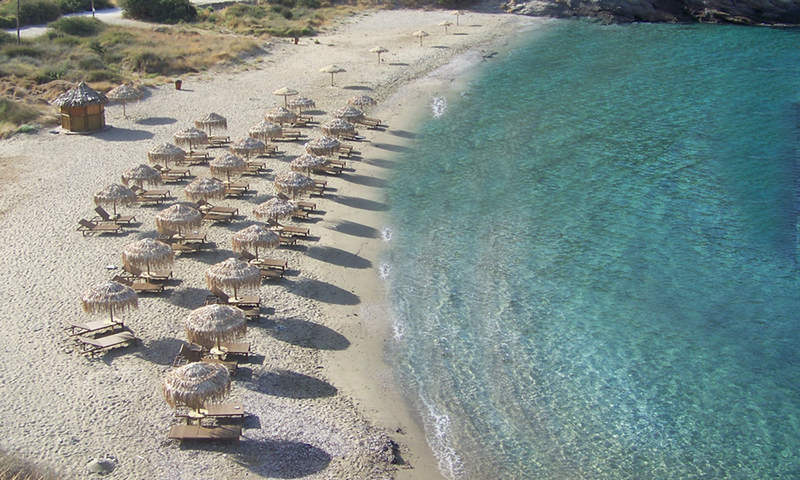 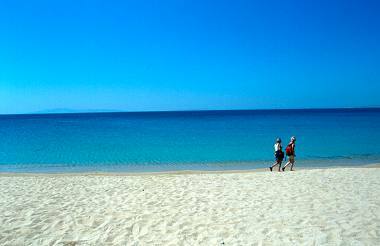 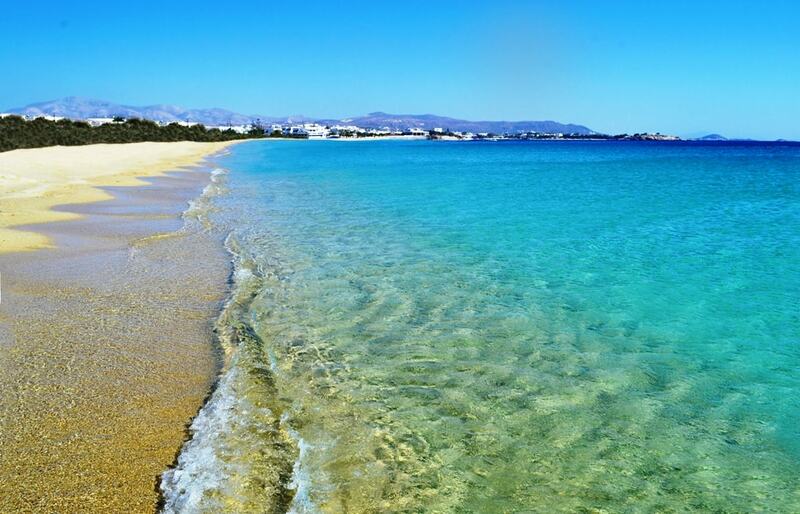 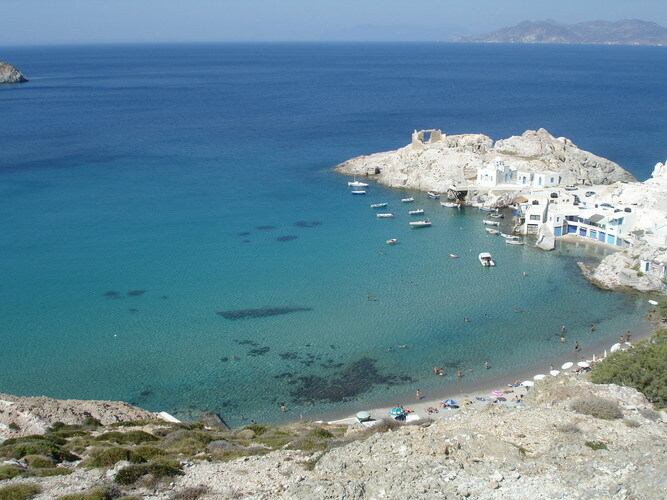 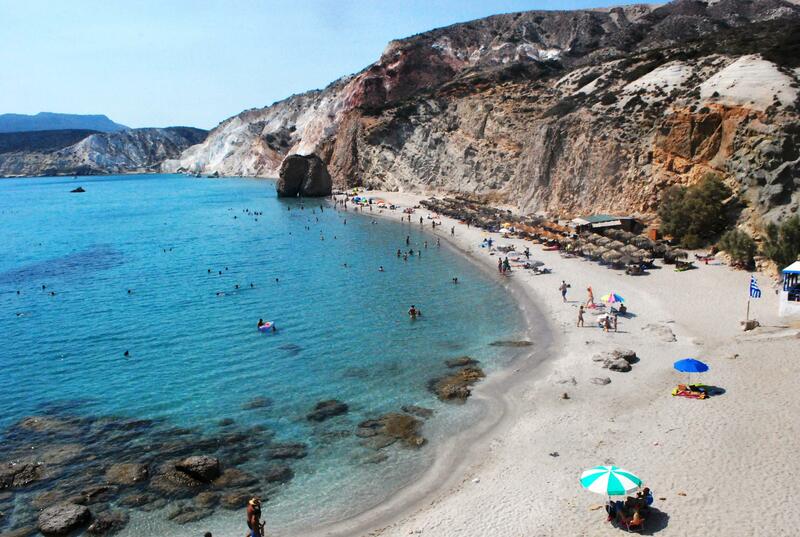 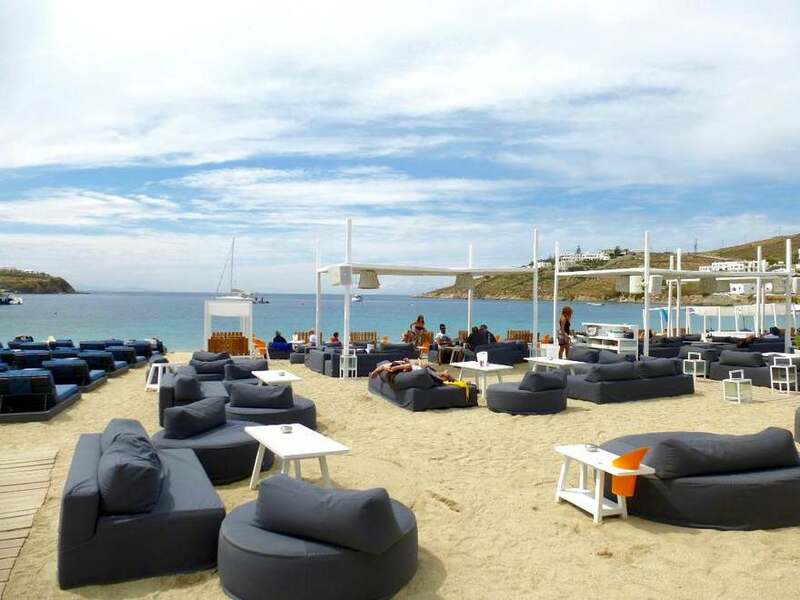 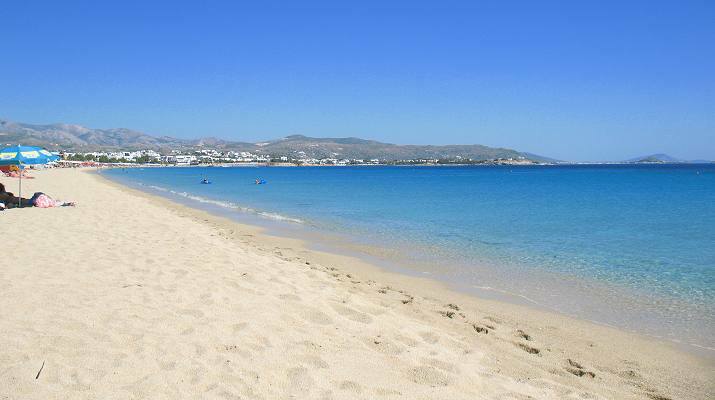 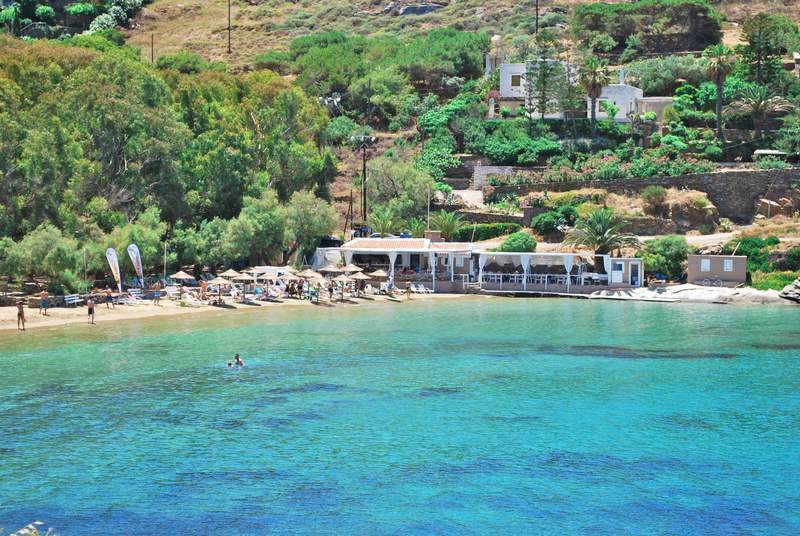 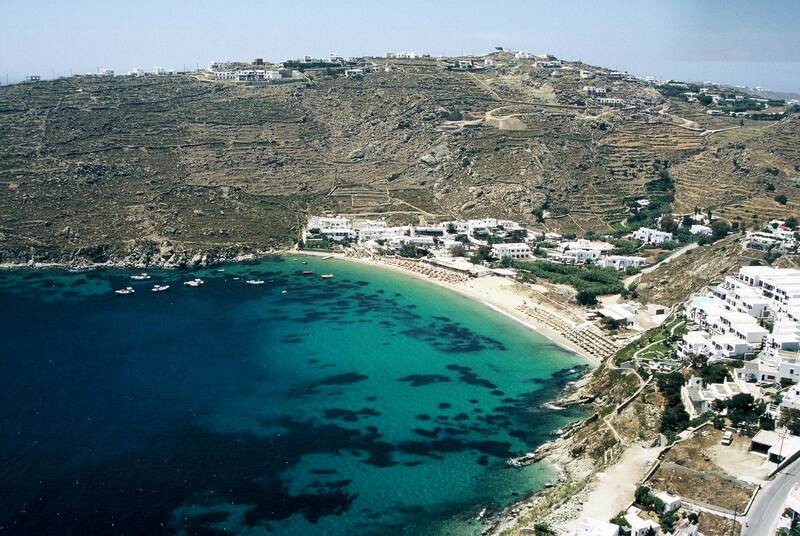 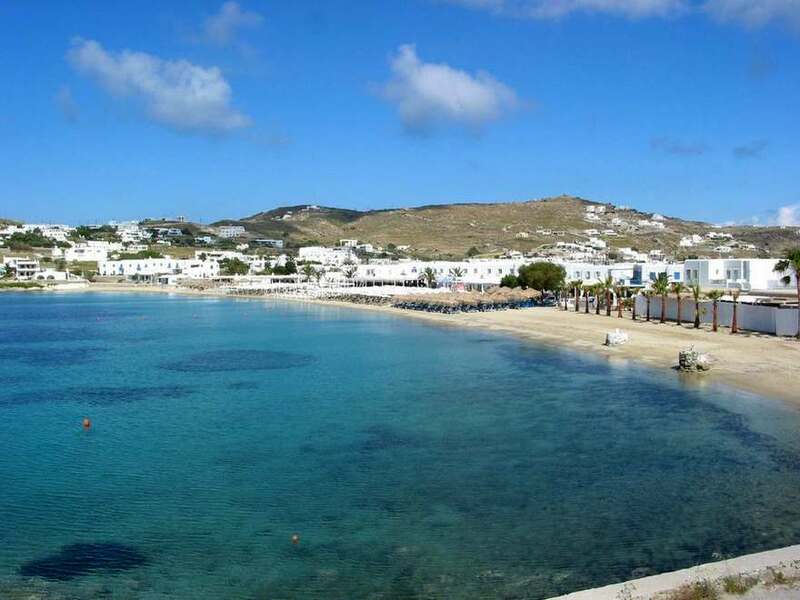 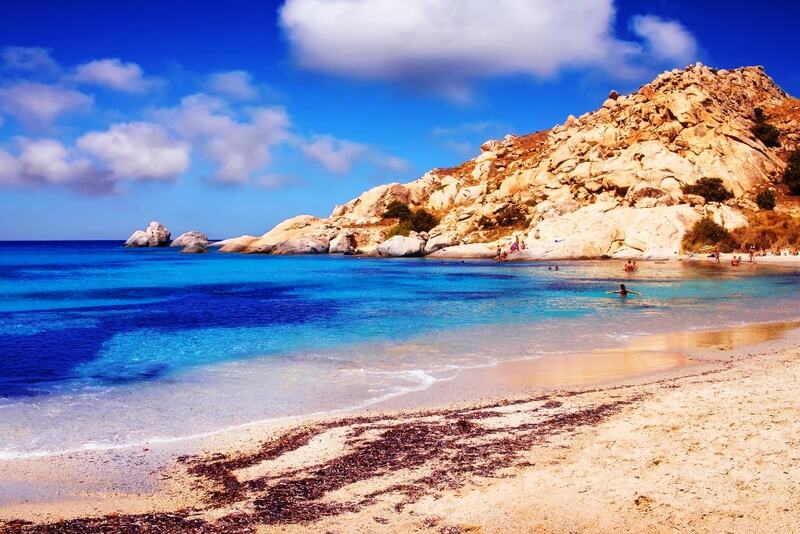 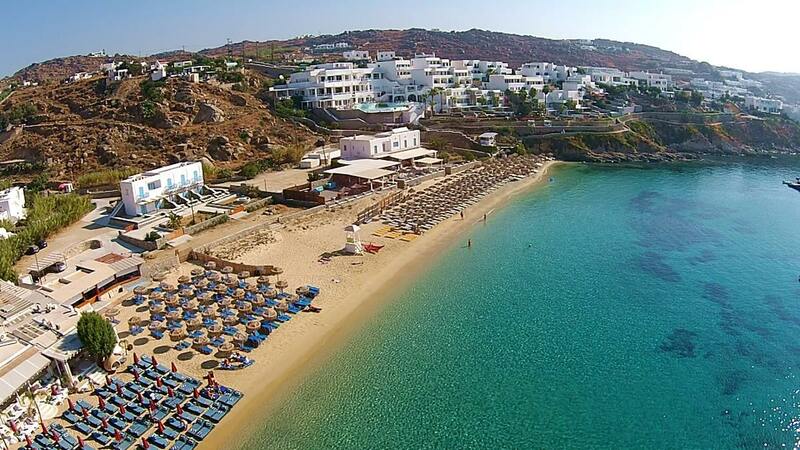 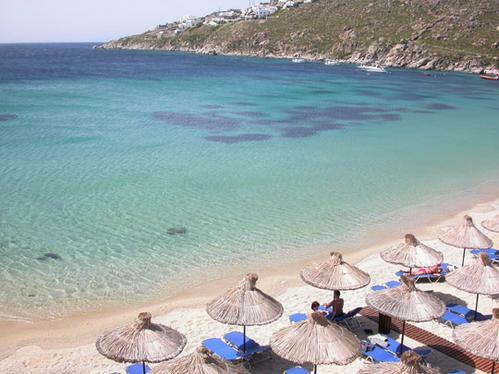 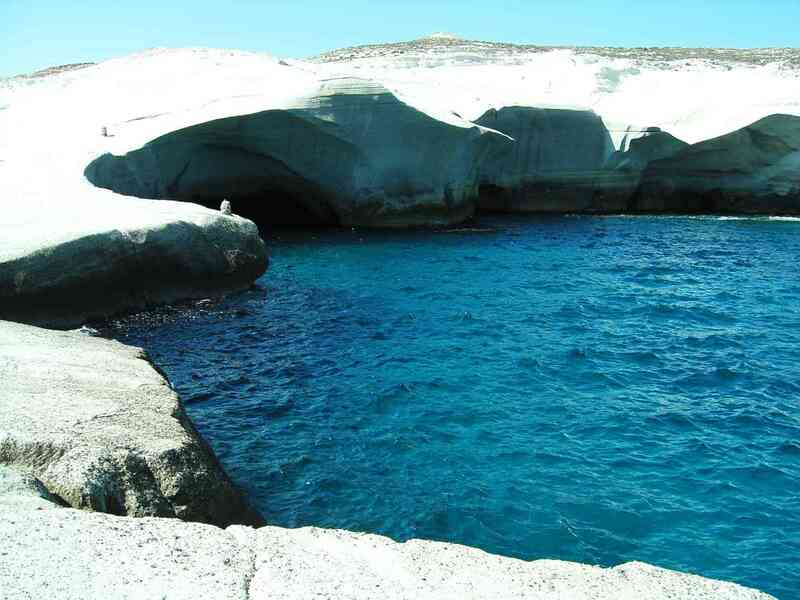 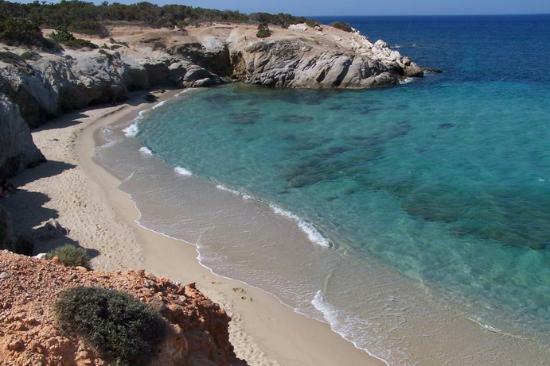 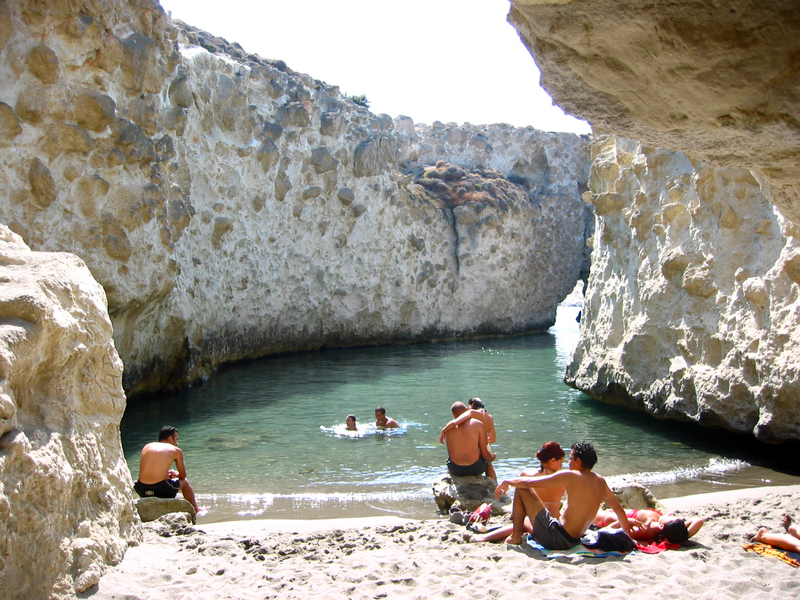 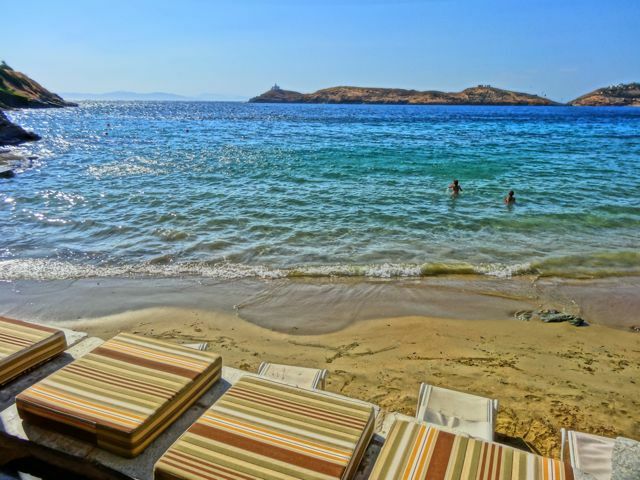 Kalafatis Beach Mykonos is popular among windsurfers and divers, but it also attracts families with children. 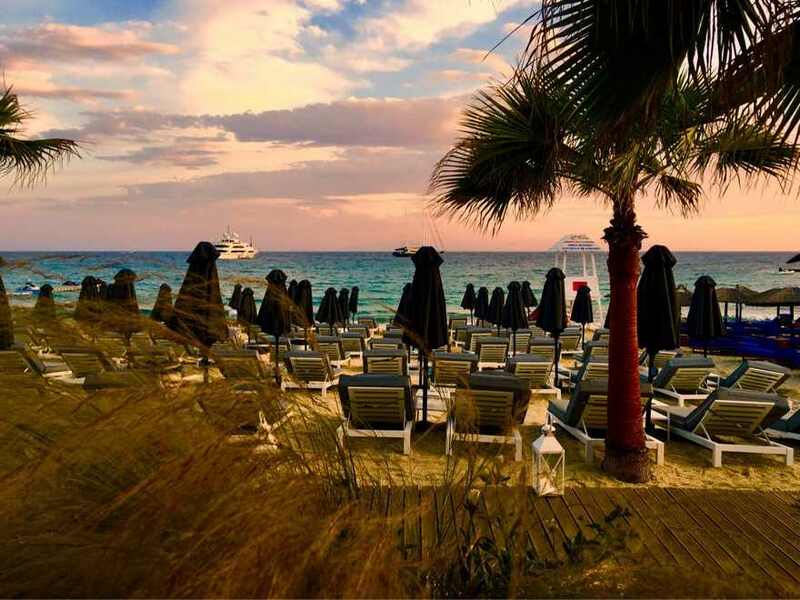 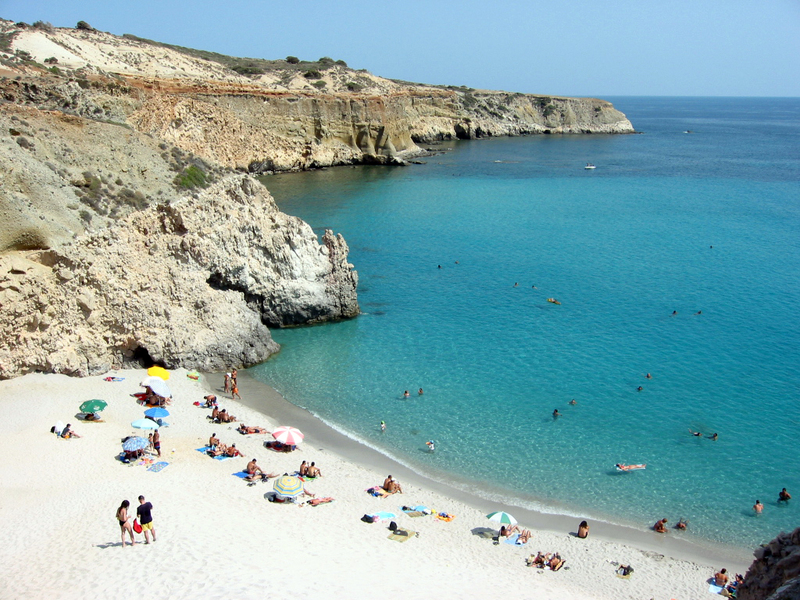 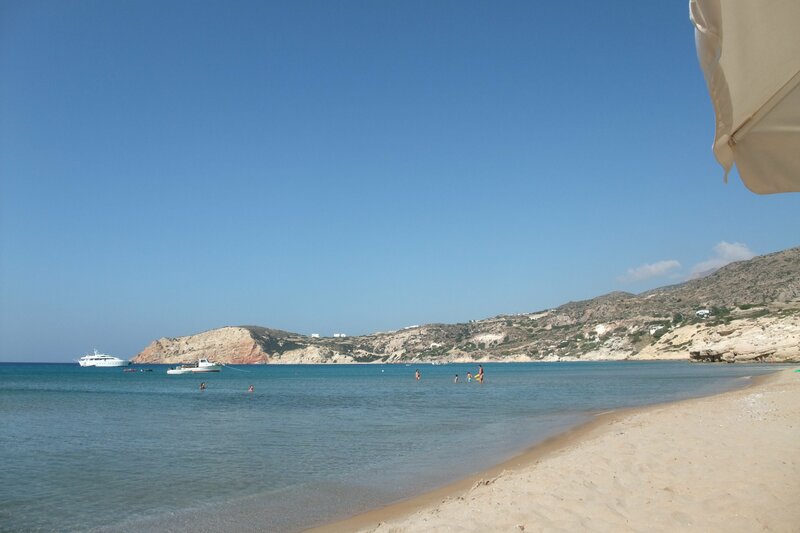 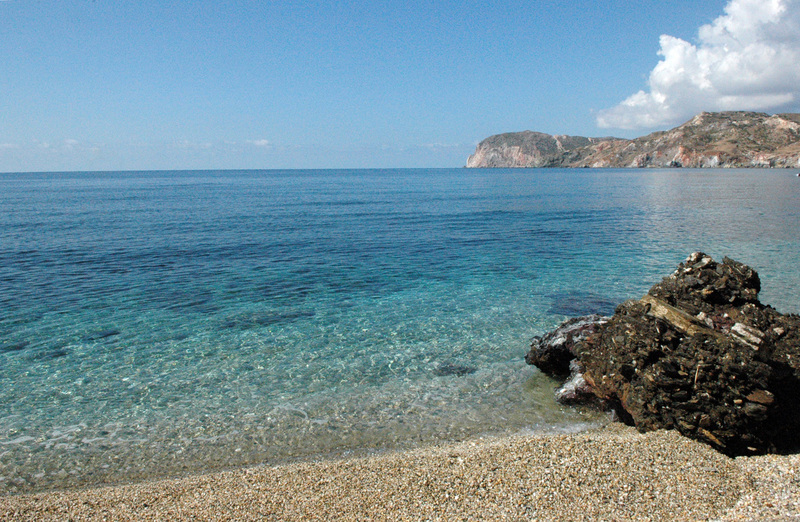 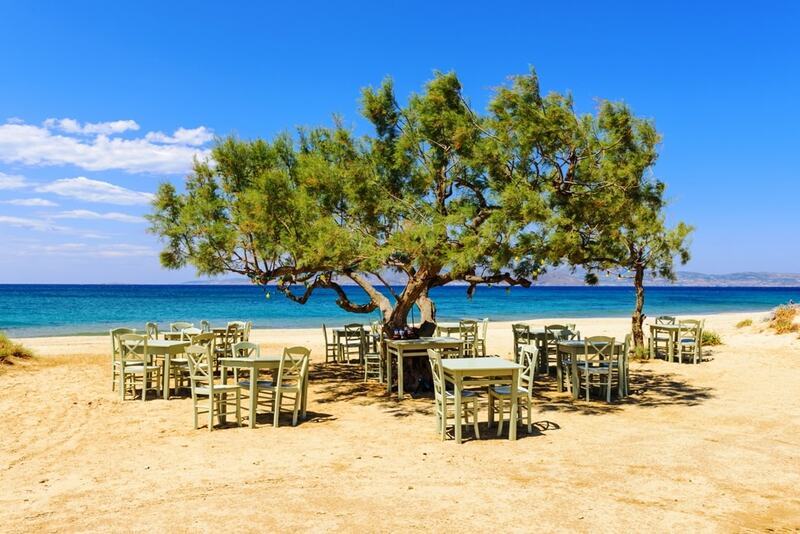 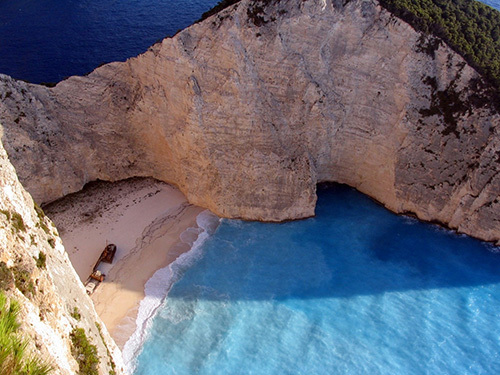 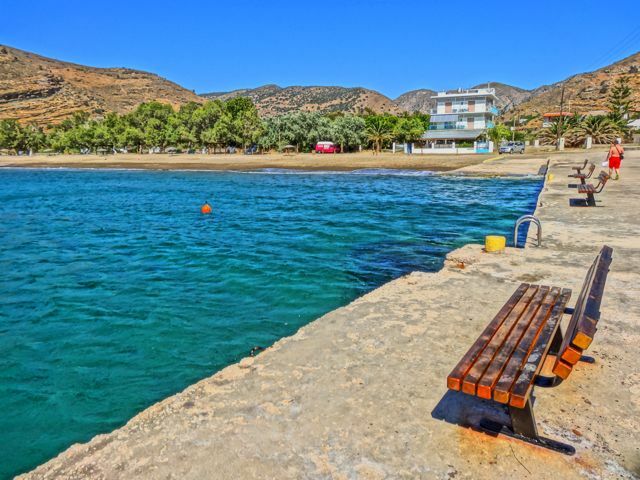 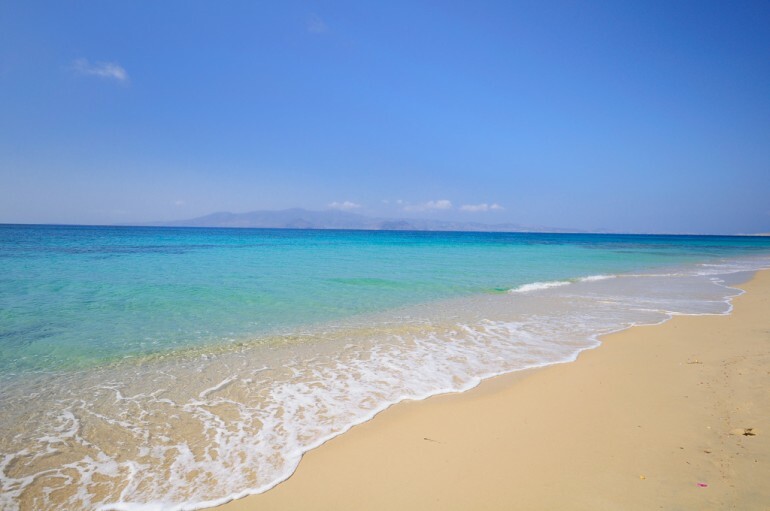 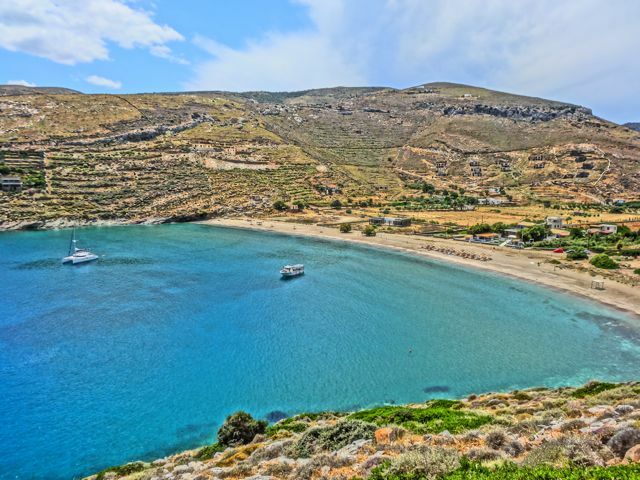 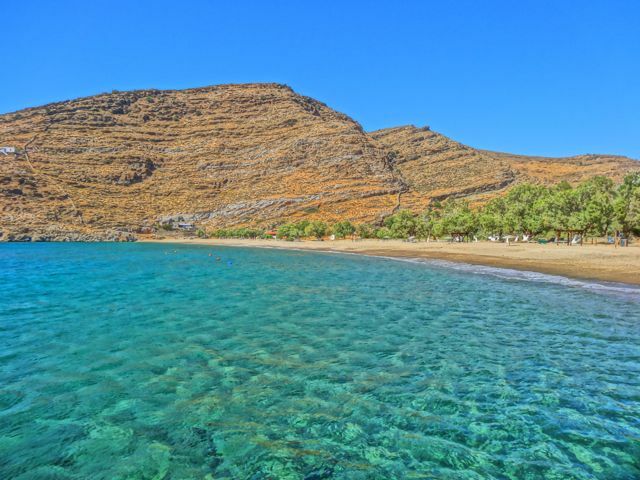 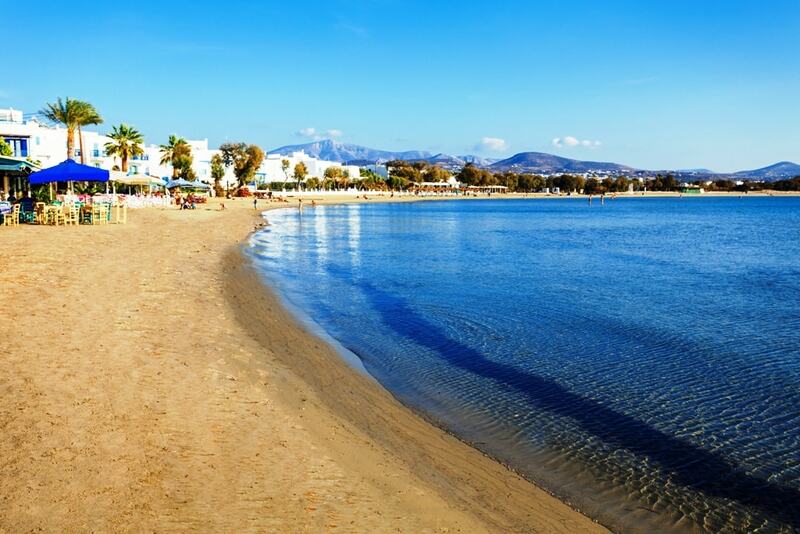 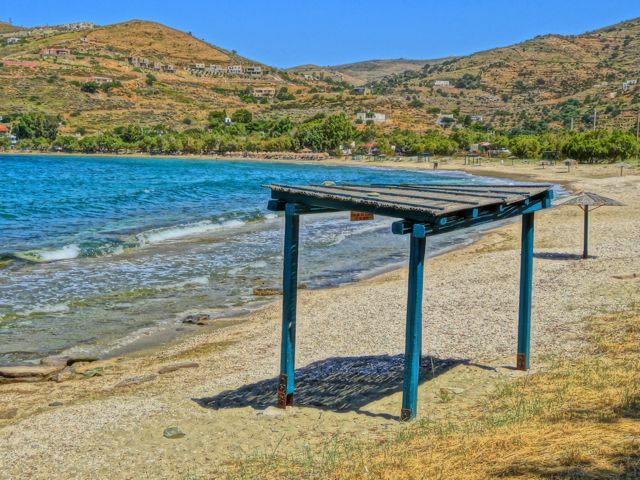 If you get tired of sun and sand, you could walk to the old fishing village past the far end of the beach and enjoy a wonderful seafood meal at Markos taverna. 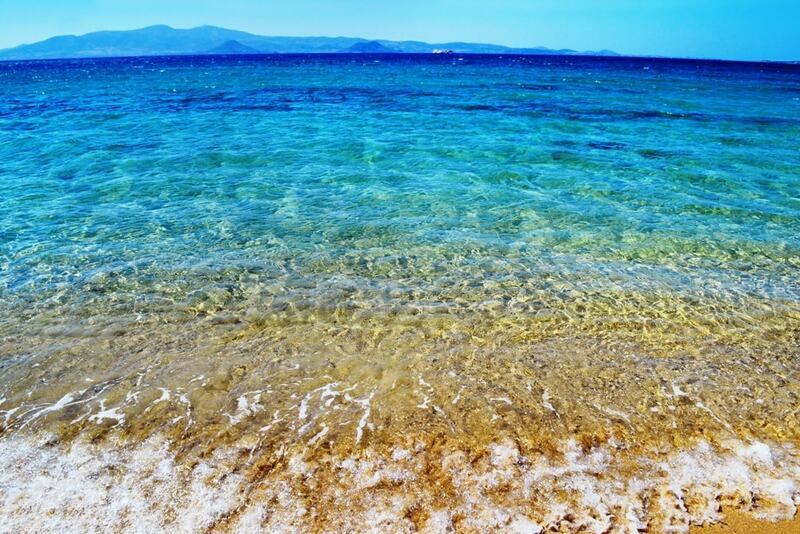 The beach has slippery rocks in the sea. 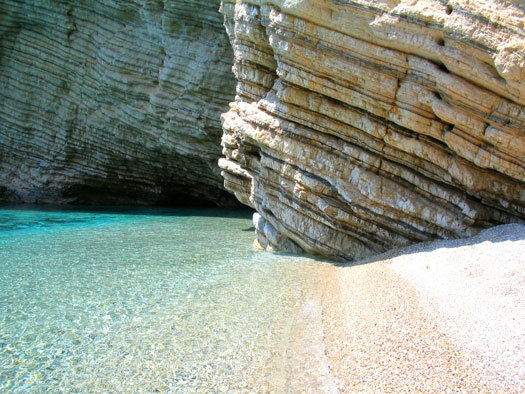 You need to walk carefully to go pass the rocks before having a good swim. 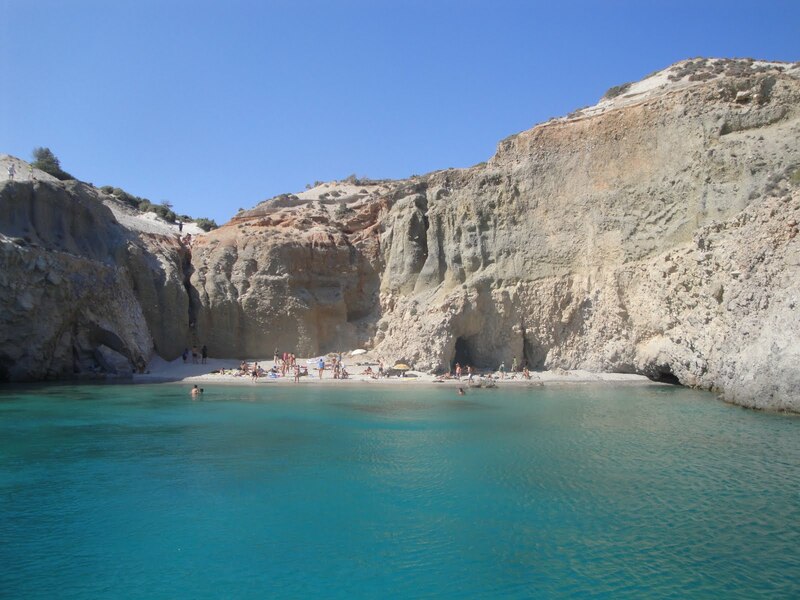 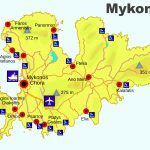 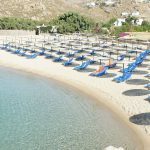 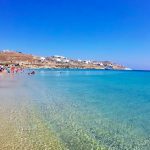 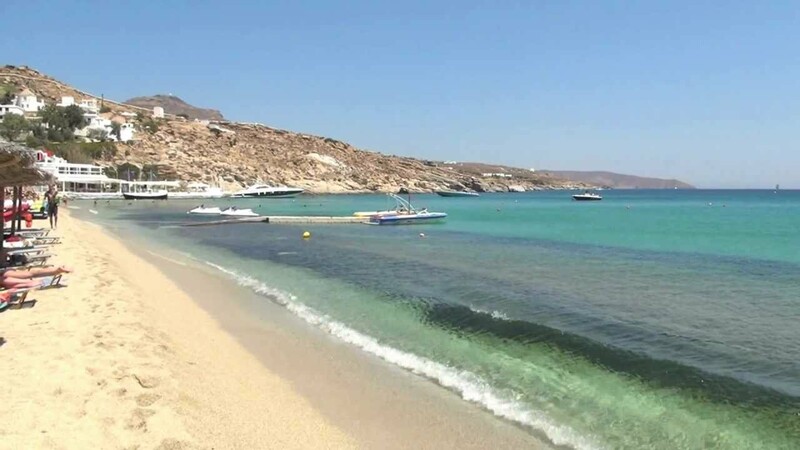 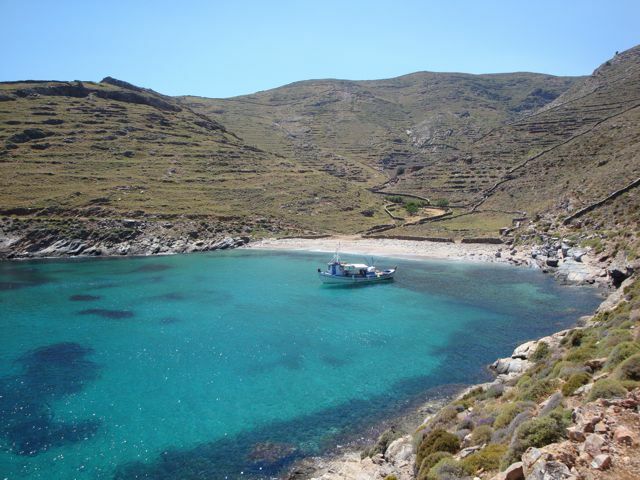 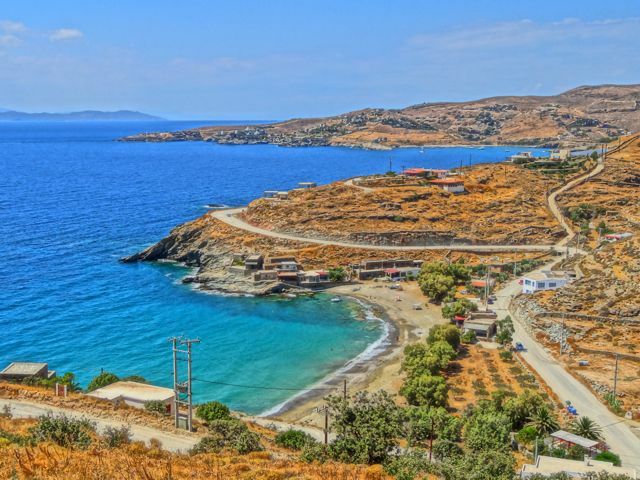 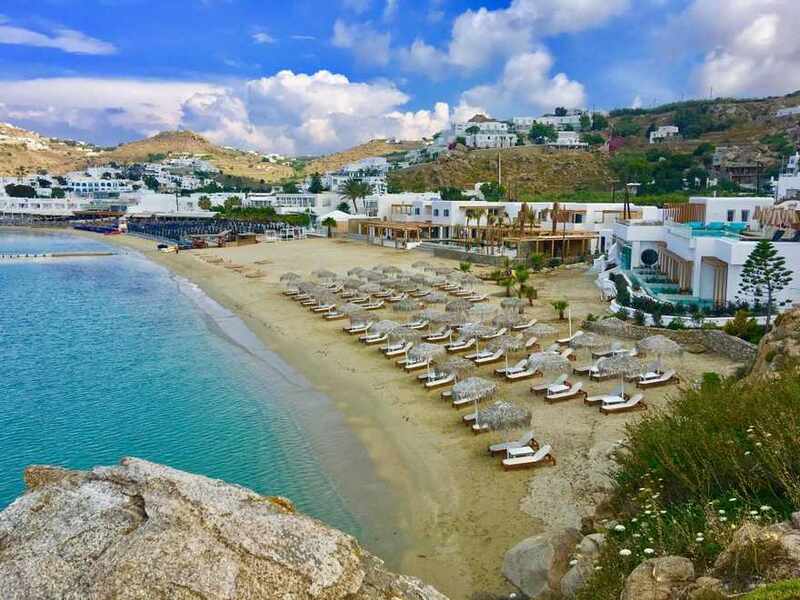 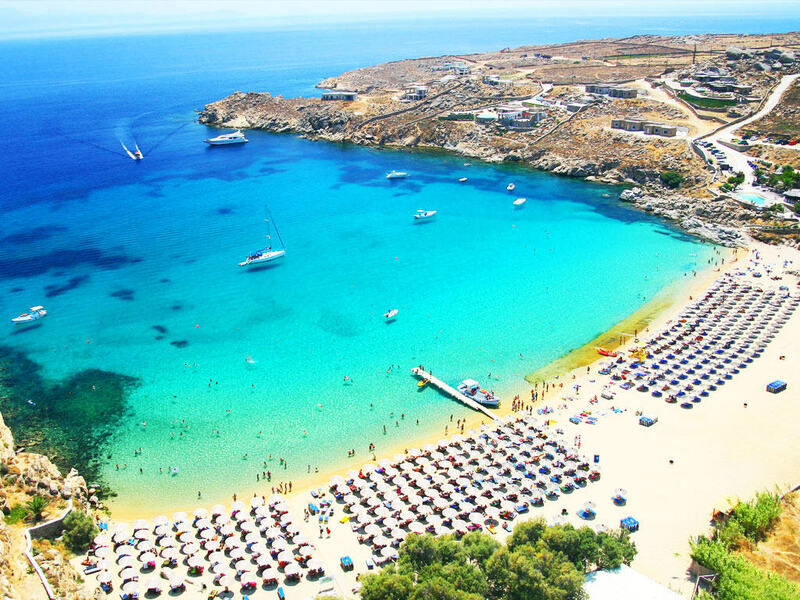 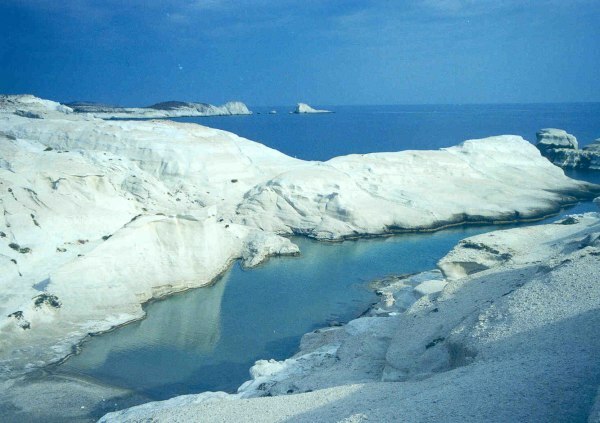 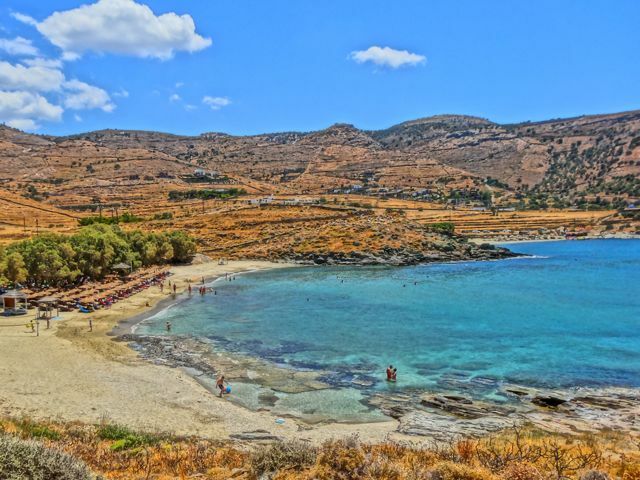 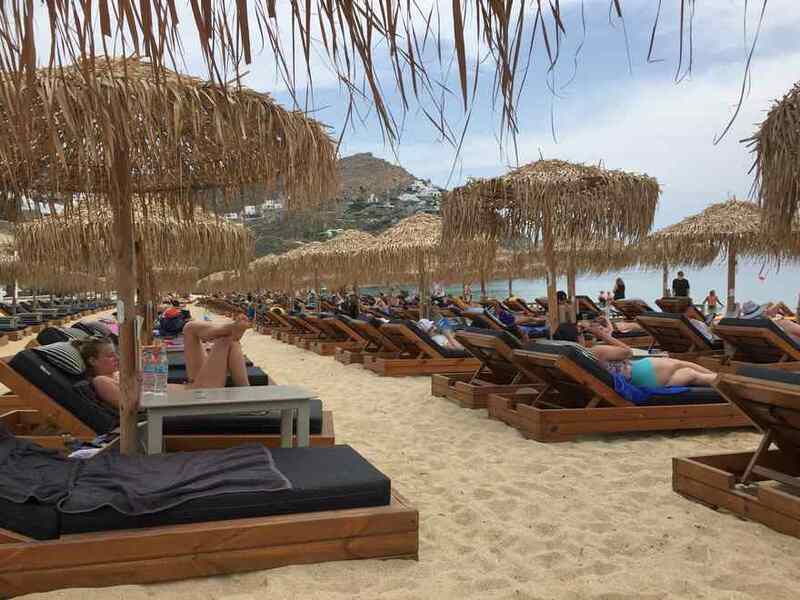 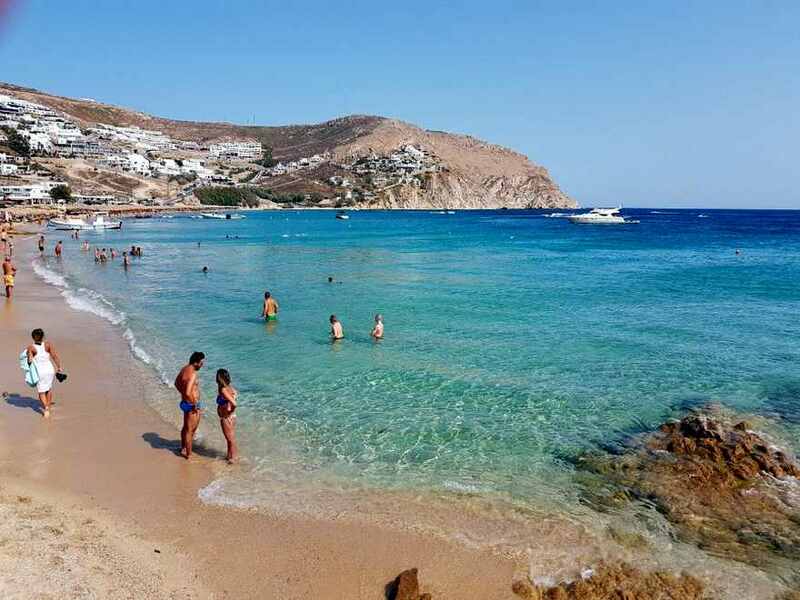 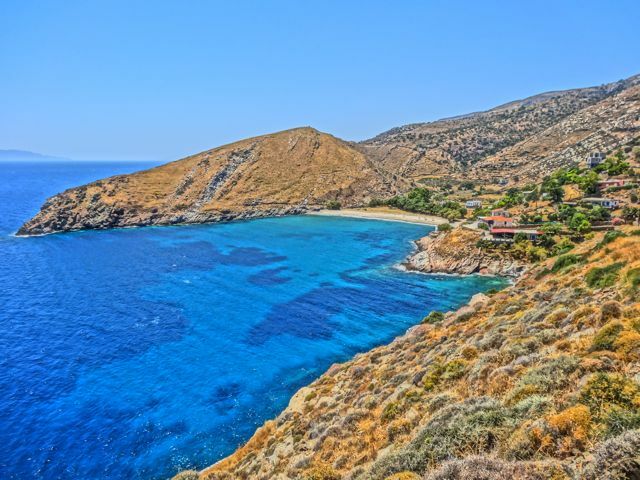 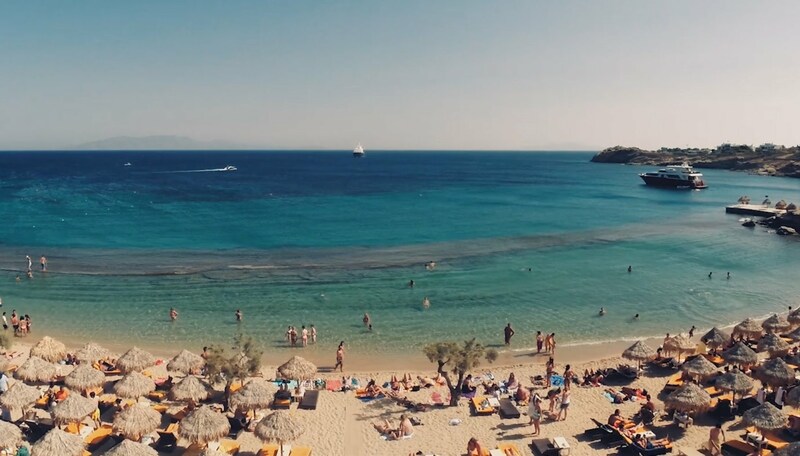 You can reach Kalafatis beach by car or bike, the taxi costs around 22 euros, is located 12km south east to Mykonos town around 25 minutes by car. 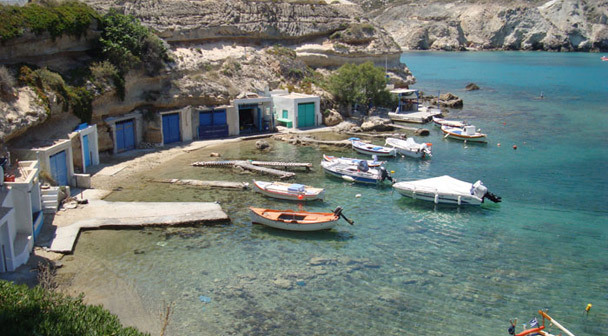 A local bus leaves from Old Port to Kalafati.